Gloriously robed in pink, blue, green, and shimmering gold, Mary Magdalene stands quietly before a delicately rendered background. 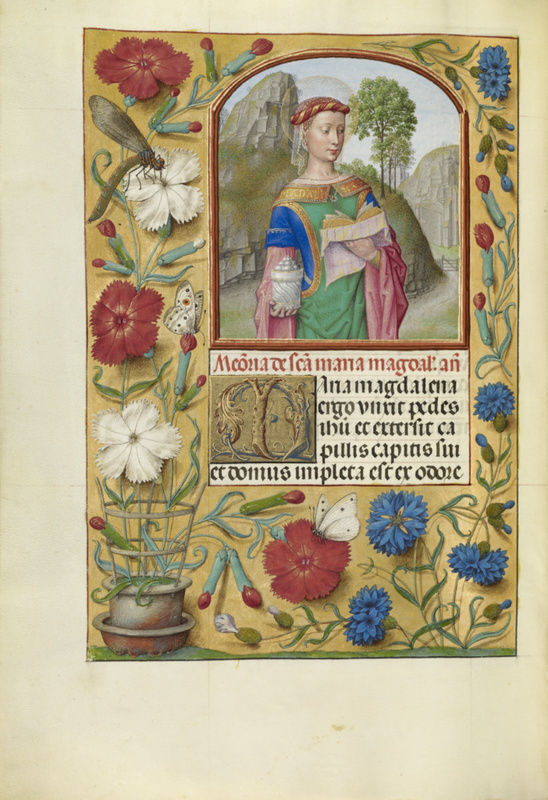 Her elaborate headdress and refined features remind the viewer that she was traditionally described as a beautiful young woman living an immoral life in Galilee at the time of Jesus. But the open book and ointment jar in her hands also play a role in telling her story, for she later renounced her sinful ways, anointed Jesus' feet with ointment in penance, and eventually became one of his most devoted followers.